Dr. Ntsaluba graduated with a medical degree from the then University of Natal (now University of KwaZulu Natal: Nelson Mandela School of Medicine) in 1982 and worked as a doctor at Mthatha General Hospital before going into exile in the late ’80s. He also completed a Master of Sciences Degree with specialisation in Health Policy, Planning & Financing from the London School of Economics (University of London). Between 1991 and 1995, he undertook his specialist training in obstetrics and gynaecology and was subsequently admitted as a fellow at the College of Obstetrics and Gynaecology of South Africa. 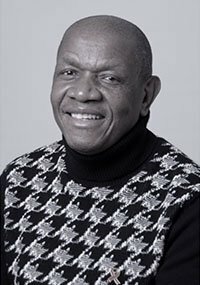 Dr. Ntsaluba chaired the steering committee of the SA AIDS Vaccine Initiative and served as a member of one of the Working Groups of the WHO Commission on Macro-Economics and Health.